Redfish, Snook, Trout, Snapper, Sheepshead and more. The back waters of Southwest Florida boast some of the best species of gamefish around. Schools of Redfish tailing over a grass flat, Snook lurking up in the shadows of the beautiful Florida mangroves, gator Trout cruising the edges of an oyster bar...the opportunities are endless. 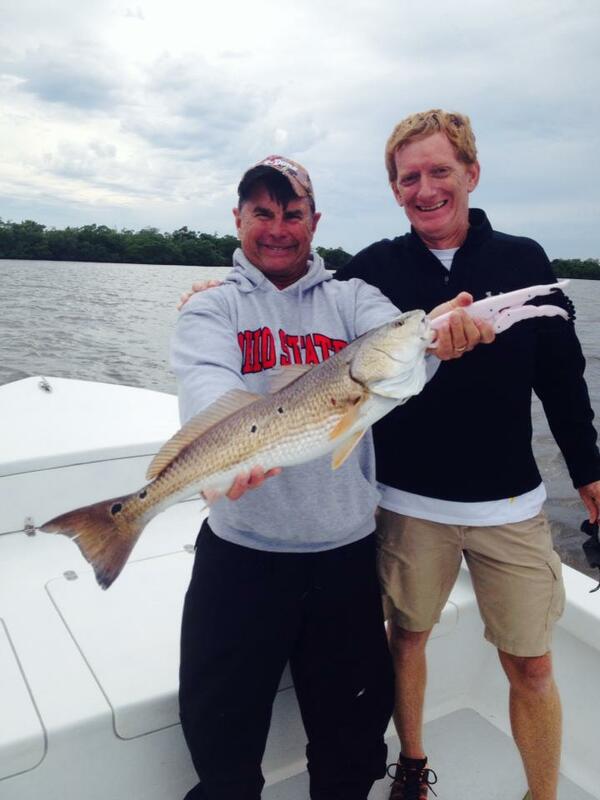 • REDFISH - One of the most popular species we get asked about is the Redfish or Red Drum. A mature Redfish typically weighs six to eight pounds. When they are near or over twenty-seven inches, they are called “bull reds” and can grow to weigh much more. They often school through the backwaters of Estero Bay, Matlacha and Pine Island Sound as they chase baitfish, shrimp and crabs. When the tide is low and incoming, these fish can often be seen 'tailing' on the top of the water and a cautious angler can target them by sight fishing. Redfish can be fished all year long but the prime time is Fall when the water is still warm and the bait is plentiful! • SNOOK - Snook love to ambush their prey as it comes within range. This makes for some exciting fishing action! They especially like to lie in wait at the mouths of inlets or lurk in hiding behind underwater structures, mangroves, piers and bridge pilings. They feed on shrimp, crabs and a variety of smaller fish and can grow to be huge here in Florida with the state record weighing in at over 44lbs; caught right here in Ft. Myers! 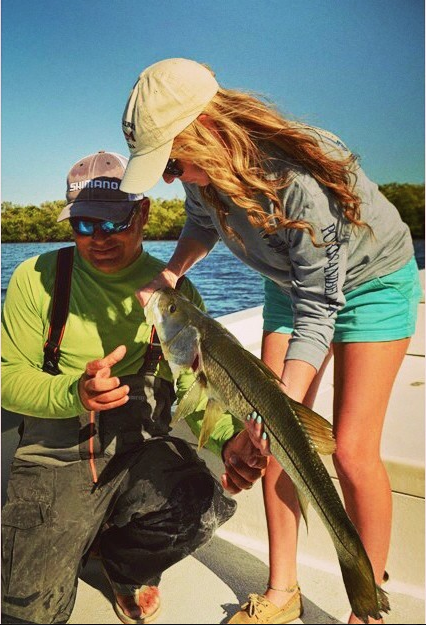 Snook can be found throughout the Southwest Florida area and can be caught most of the year. 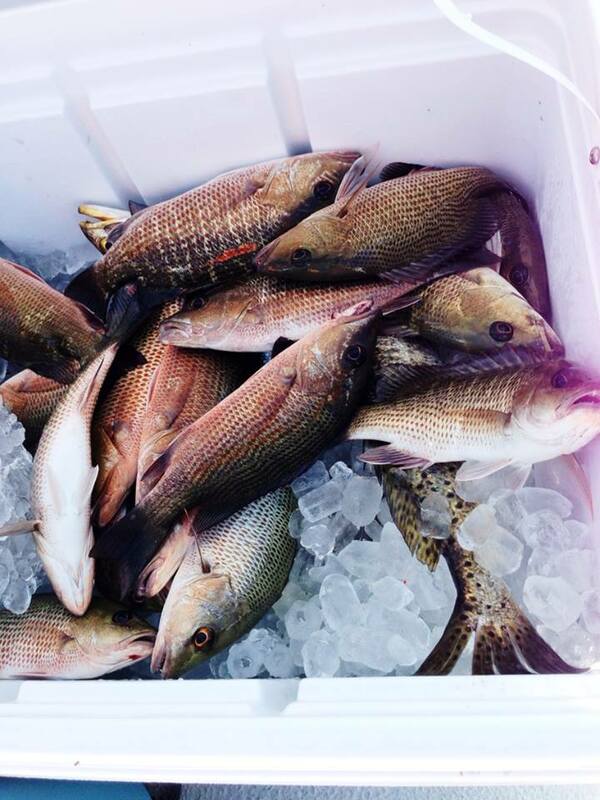 • MORE - In addition to Snook and Redfish, our waters here in Fort Myers are filled with numerous other fish species. We can catch a mess of mangrove Snappers or if the water's a little cooler, we target some Sheepshead; both make for a tasty meal! (We'll share our recipes!) You can also find juvenile Tarpon, Trout, Flounder, Shark, Jack, Mackerel, and Black Drum cruising through the back bays and inlets. 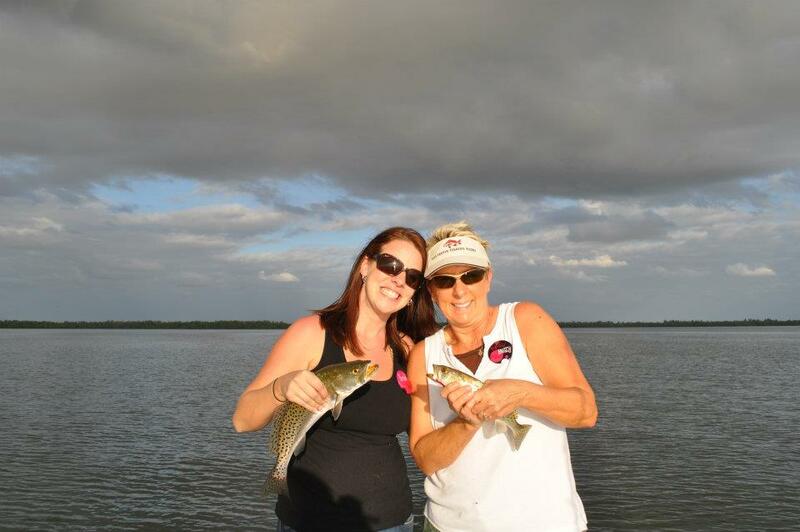 Come spend a half or full day with us on a fishing charter and let's have fun chasing down the wide variety of fish that inhabit the gulf waters surrounding Fort Myers, Sanibel Island and Captiva.